I think you’re absolutely right about that. I think we’ll see a big confirmation push in the next week. Barring any Republican defections, it will doubtless succeed. Regardless, I also expect some Blue Dogs to vote for confirmation. Trump has actually been quite successful in packing the judiciary. In which case, Democrats need to stay on message: this isn’t about “reversing an election”, it’s about penalizing criminal behavior and preserving the integrity of the process. I still don’t think there’s enough publicly-disclosed evidence against Trump himself either to force his removal or get him to resign, but we don’t know what Mueller hasn’t disclosed yet or what evidence may turn up in the near future (particularly as a result of plea deals). Oh, I think Mueller has an ENORMOUS amount of evidence. But with a target this big, you can’t afford to leave any questions unanswered. I agree that there will be armed people trying to exact revenge. But I do think that Pence is a big problem. Democrats have to go after the entire Republican Party. Republicans are protean, they just shift, will ultimately make comments about how glad they are to make a fresh start, and that we should all come together. Trump is an extremely bad person with overwhelming authoritarian impulses. Pence is a different kind of evil, the kind of person who would have condemned thousands to being burned alive during the Inquisition, while intoning that he was purifying them through holy fire. Democrats have to convince a lot of people that the Republican Party is wholly corrupt, soulless, has no interest in the welfare of citizens. Democrats have not controlled Presidency, House and Senate since 2008, and that lasted two years. Before that, it was 1992, for two years. We need a few decades of that, because Republicans are never going to become better, and somehow resemble the Brahmin Republicans of the late ’50’s and early ’60’s. Republicans are really good at one thing: jamming nominations through. They cheated the country out of the Obama Supreme Court nomination which he was entitled to, and they vowed to never allow Hillary a nomination. They demanded millions of records on Kagan, will stymie that with Kavanaugh. But every one of them will vote for Kavanaugh, as he is their ticket to accomplishing their ultimate agenda. I don’t see any way that he can be stopped, unless Democrats can get those records. All we can do is try to somehow win the Senate, and block all of the rest of their nominations. Failing that, we will have to wait two years, and hope that our four Justices stay on the Court until then. Even so, we cannot count on any of their five leaving under a Democratic President. I was a kid. But I watched the hearings everyday after school. Yeah, I don’t look, act or sound like my age. If we ever get hold of both the White House and both houses of Congress again, can we not simply impeach and remove them? I think that maybe one Supreme Court Justice in history was impeached, if even that. I imagine it would take the same number of Senators as for impeachment of a President, which might be impossible to get, as many would think it is a bridge too far. Of course, we see that in West Virginia, their right-wing legislature just impeached all the judges of their Supreme Court. So Republicans do it, they do anything. But for the Congress to do it, would bring down the wrath of the media. Congress even voted against the “court packing” by FDR, who was only trying to help the suffering nation by getting some bills through which the Supreme Court full of hardline pro-business Republicans appointed in the 19th century or slightly beyond, kept blocking. So I don’t think that we could impeach Supreme Court Justices–unless we could somehow successfully contend that Gorsuch and Kavanaugh should not be on the Court because they were appointed by an illegitimate president. I do think that this would make a legitimate argument for adding two seats to the Court to nullify them, but I don’t think it would succeed, since the media would describe this as totalitarian, unamerican, and the rest of it. However, desperate times do call for desperate measures. Of course, Democrats are always very cautious regarding norms, often to their detriment. I would hope they try it, but even winning the White House in 2020 is going to be a small margin result, so the mandate for it is not going to be there. Democrats have to go after the entire Republican Party. Amen to that. There is not a single (ᴙ) that I would stick with now, I’d rather see Rockefeller, Goldwater, and maybe even Dole than any in this group. They are all traitors. I wouldn’t count reaching the pro-Trump voters who only listen to Faux News or conservative media. The link below was in the Chicago Tribune earlier this week, reprinted from the Washington Post. It was an analysis of how conservative covered the terrible for Trump Tuesday earlier this week. Conservative media has succeeded in brainwashing the most gullible. As long as conservative media is acting as a cheerleader for Trump, those who support Trump may never realize how they have been played nor how Trump has undermined democracy. Benedict Donald’s buddy David Pecker, owner of AMI (National Enquirer) is now co-operating with the authorities. Russian trolls weaponizing vaccine “debate” to divide Americans. Seriously, I’ve never studied Latin. There are some stories about the possibility that Tad Devine, former Manaafort partner, might have somehow helped the Republicans get the DNC data, through Patrick Caddell, of all people. Caddell was a former Carter pollster, became someone who seemed to hate establishment Democrats, just for the sake of doing so. Anyway, we might remember that Sanders’ people had hacked into Hillary’s database even before the primaries. When it was discovered, Sanders said that he did not know about it, and that he got rid of the culprits. But the data was never returned. Sanders would not even give Hillary his contributor information after she won the nomination, which is customary. So what if Sanders was also backed by Russia; put in both to damage Hillary, which he did, or even to be the nominee if possible? Why would Russia have stopped with Trump, might as well have two horses in the race? Why did Sanders vote against Russian sanctions after the election, one of only two Senators to do so, along with Rand Paul, who is now behaving like a Russian asset? I always wondered where Sanders got all that campaign money; I never thought it could possibly be a bunch of $27 contributions. And why did Sanders never release his tax returns? I would not be at all surprised if Sanders got Russian help, and that after the nomination, the DNC information got passed to the Trump campaign. The true story of what went on in 2016 is probably more horrifying than even we imagine. And Sanders also voted against the Magnitsky Act. How despicable! That would be a tipoff,, because what legitimate political rationale would one have for voting against that? 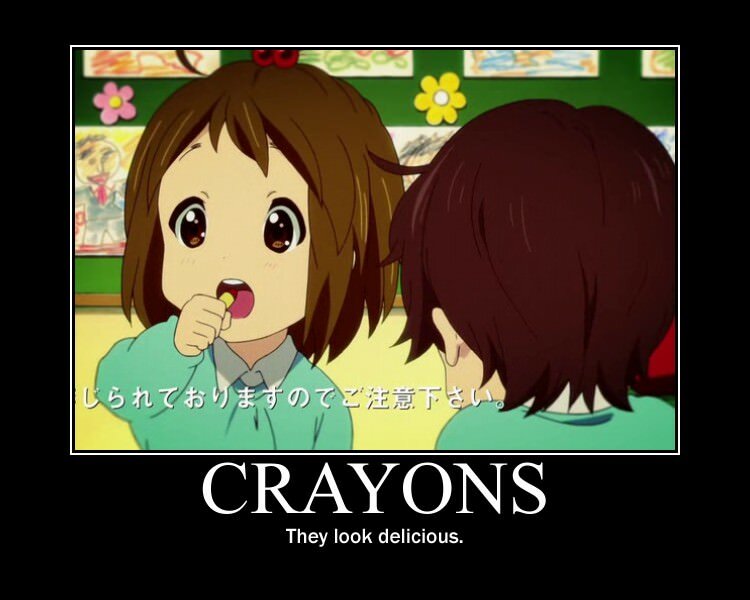 Crayon, apply directly to the mouth hole. If I were to predict, I’d say he doesn’t resign & isn’t impeached. The criminality of Trump & associates (e.g., Manafort) were well known during the campaign (w/ Mafia connections going back decades), & yet it didn’t obstruct his getting election. I recall scads of women coming forward with stories of non-consensual sexual encounters with Trump, so why should these 2 consensual cases be a big deal, even if he failed to report the payments. I think people forget Moore’s explanation for why Trump would win: enough people (apparently) want to blow up the system. Absolutely crazy, but I think he was right. And Trump is blowing up the system, plus the positive economic results. As horrible as he is, it would be better if he’s voted down in 2020 than impeached. It will take a couple of more years before the blow up is seen as too terrible. Else I’m afraid we will never get beyond an insane level of extremist back and forth political revenge in government. Well, the economic results aren’t really too positive. Real wages are down; last month showed that wages went up 2.7%, inflation went up 2.9%, I guess from a comparable time a year ago. That is a losing game for the average consumer. All that is going up is the stock market, which is 90% owned by institutions, not home-game investors, and is once again due to the deregulating of Wall Street, banks, and various industries.. The companies which got the massive tax breaks are buying back their own stock, driving it up. The GDP gain was mostly due to companies making unusually large purchases of products and goods which were going to be subject to tariffs a month later. And of course the economy had in general been going in a positive direction since 2009, this is just the tail end of it. But the media goes along with “booming economy,” which it simply is not, by any consumer oriented metric, except unemployment, which had been steadily going down for ten years. You are right that the whole thing will collapse before too long; enhanced trickle down economics has never worked, though it is a staple of dictatorships. I am afraid that all those paper gains in people’s IRAs are going to either disappear, or be swallowed up by the greatly reduced value of the American dollar. He was already voted down! It doesn’t work! Especially now with him gaining more power. People need to stop being afraid of the upheaval of the right wingers. They’ve already upheaved. This man needs to be impeached or forced to resign now before he does more harm. The tiptoeing out fear got to end and confront “the revolt” that the Gouhliani clown threatened and the “market crash” the Dump bullied us all. After the worst week for a POTUS since Monica Lewinsky became a household name, the latest NBC poll shows (drumroll please) Trump holding steady. OTOH, voters don’t like the GOP very much, so it is possible that the Democrats will retake the House in November. I kinda hope they do, just to see the reactions when Nancy Pelosi announces “Impeachment is off the table” again. 1. Trump will not resign. 2. Trump will not be impeached. 3. Trump will be reelected. If Niles is proven correct, it will be only because the Treason Party left our elections wide open to interference by the minions of their actual master, Vladimir Putin.